Accessories are a great way to adjust your outfit to fit your mood. 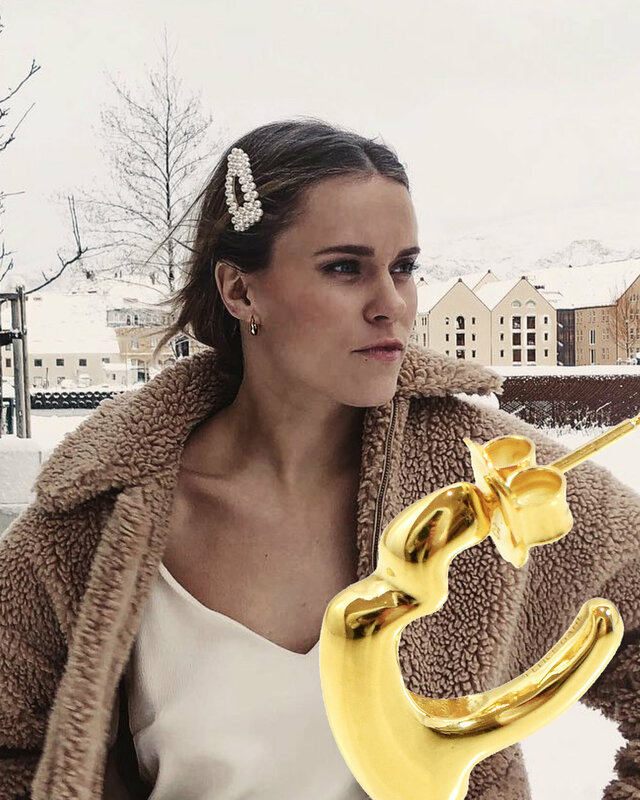 Follow after Norwegian Sara Strand styling the Felice Dahl Första Earrings Small with a playful hair accessory and furry coat. Have you seen the new over-size Första Earrings Large yet? The Felice Dahl Första Earrings Small are classic everyday design details. 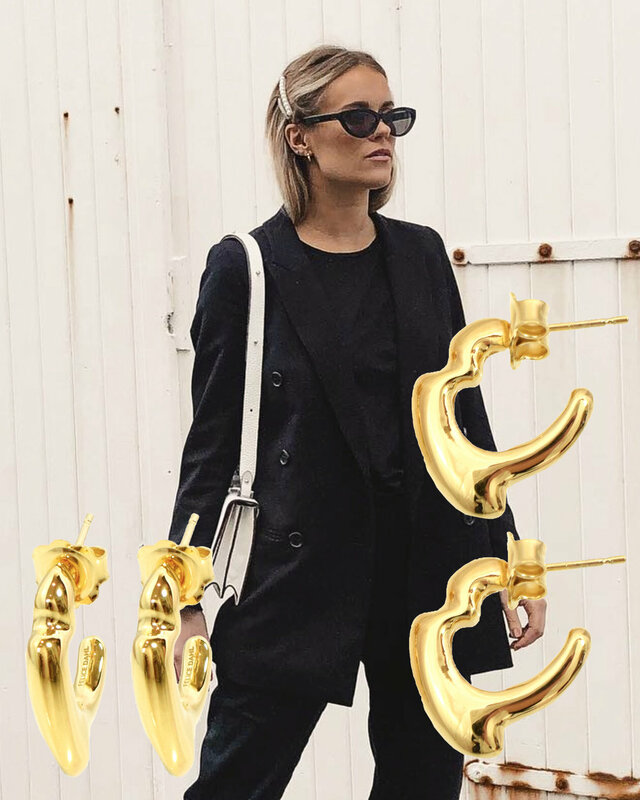 Check out Norwegian Sara Strand styling them with playful accessories. Now, check out the new over-size Första Earrings Large, in both gold vermeil and sterling silver! Design-lover, this one is for you. The Felice Dahl Första Earrings in gold, or silver, will add that extra touch to any outfit. They are light-weight, and small, so they are there for those who get close enough to see. We love how Norwegian blogger Sara Strand wears her earrings on a regular basis, letting these small details enhance her overall style! What are your style staple earrings? Choose below!